Studio Update - It's all good at SwellColors! Santa's Workshop at SwellColors - Make 3 fused glass ornaments for your tree. This is a walk in class and takes about an hour for most people. This is a perfect gift for the hard to buy for people in your life and is a super fun way to spend some time this holiday season. Take a break from the hustle and bustle and give yourself some art therapy. :-) These fire overnight in our kiln and are available for pick up a day or two later. OR if you need us to ship them for you, we can do that too. Cost is $50 per person. Available everyday until December 25th, 2016! Music, refreshments and local art for your heart! This is my new collection of about 30 works in glass. The pieces are landscapes and seascapes in transparent shadowboxes. Celebrate the holiday season with our great community of fellow artisans, discuss latest news with the LBI Arts Council and the Artist Open Studio Tour, enjoy some yummy food, AND get to make one FREE fused glass ornament compliments of SwellColors. This event is open to anyone interested. Pop-up Stained Glass Workshop! Sunday, December 4. Make a 12¨ x 12¨ or 11" x 13" window in this 1 day class. Take your artwork home at the end of the day. Show up with an idea of what you want to make and together with glass artist Mary Tantillo and her team of artisans, make your very own panel. You will learn safety, design, cutting, grinding, foiling, burnishing, soldering, patina, and polishing.The cost of the class is $250 per person. Must be at least 15 years old to take this class. Now silver smithing on premises. Bring us your sea glass to be transformed into timeless treasures. 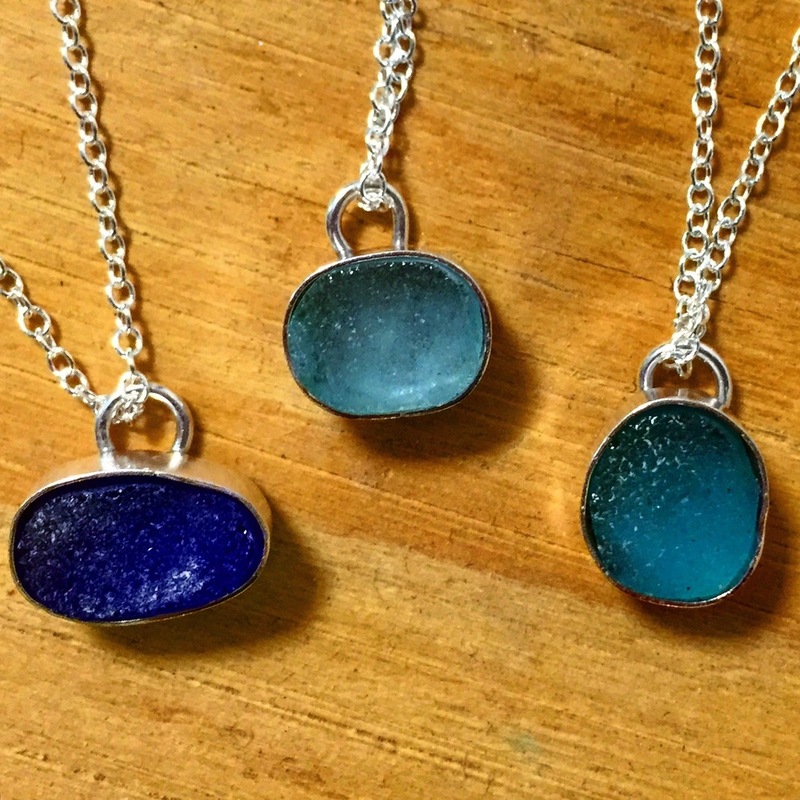 SwellColors is one of the few studios in the USA that will make your sea glass into bezel set silver jewelry. Very honored to be exhibiting with this amazing group of artists. I am Boston bound on Thursday with Linda Ramsay for the opening reception of Contour 19. If you are in the Boston area, please come to the reception to experience this gorgeous collection of artwork and meet the artists. Works will be on display until mid-January. June 27-August 29, every Monday 8am-noon. 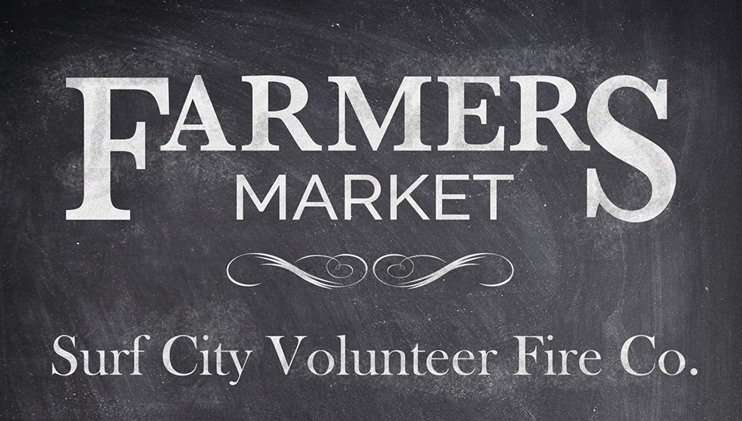 Get your local, organic fresh produce here as well as a wide variety of artisan made products. Stop by the SwellColors booth for special offers, friendly conversation, and see our new artwork! Saturday May 28, 2016, we will be having our 10 year anniversary party!! Come by SwellColors for live music, refreshments, specials, and local art for your heart. Save the date, more info to come! Friday-Sunday, July 29-31, 2016. SwellColors will unveil glass artists Mary Tantillo's latest collection "Origin" featuring sun inspired stained glass panels. Live music, refreshments, beautiful art which is good for your heart. More info to come! We are open! Get your ART on! Stop in and take one of our many classes or inquire about custom art for your home. Email Mary@SwellColors.com for more information.